An advocate asks: Why should it take a viral post to increase campus security? A Concordia University student's Instagram post about the lengths she had to go to in order to complain anonymously about a stranger's on-campus harassment has garnered thousands of shares — and an outpouring of similar stories. 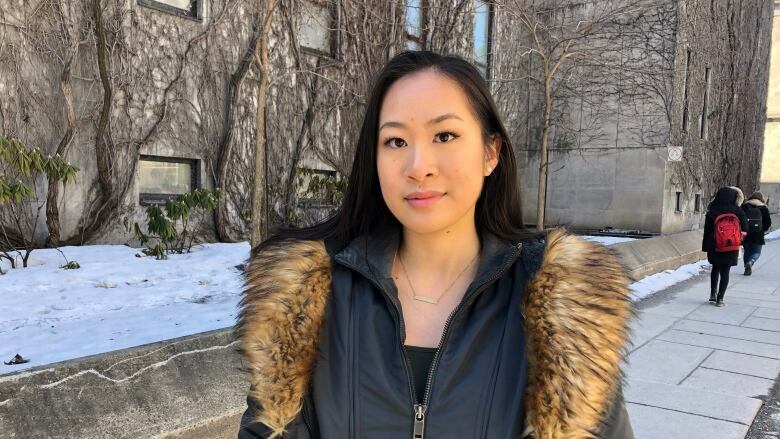 When a stranger approached McGill University student Viveca Lee at the Eaton Centre last September and asked her to go for a coffee, it made her uncomfortable, but otherwise she didn't think much of it. But when a second man approached her only two days later with an invitation that followed nearly the same script, Lee started to feel unsafe — especially when the man tailed her to McGill's Trottier Building, a couple of blocks away. "It's not a comfortable feeling, knowing you are on campus and knowing that you can't get somewhere without someone following you," she said. Lee only decided to report the incidents to McGill last Saturday, after seeing Concordia student Lisa Komlos's Instagram post about her experience. 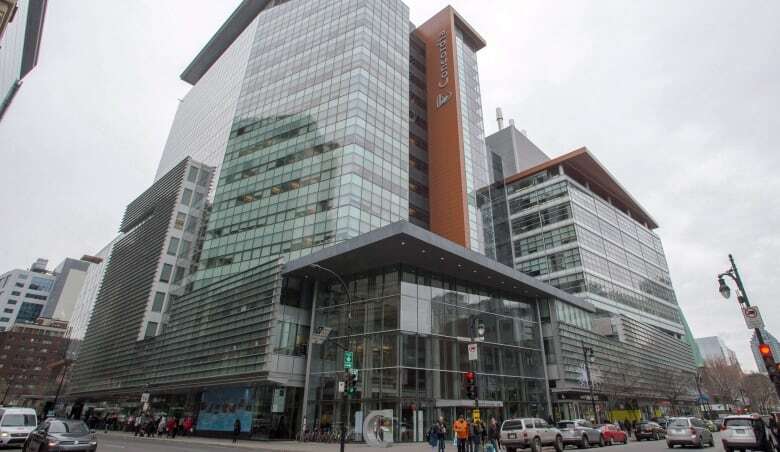 Komlos reported that she was harassed twice this month by young men in the Engineering, Computer Science and Visual Arts Integrated Building (EV) at 1515 Ste-Catherine Street West. The video she posted to her Instagram profile garnered thousands of shares and an outpouring of support from other women who've endured similar encounters. 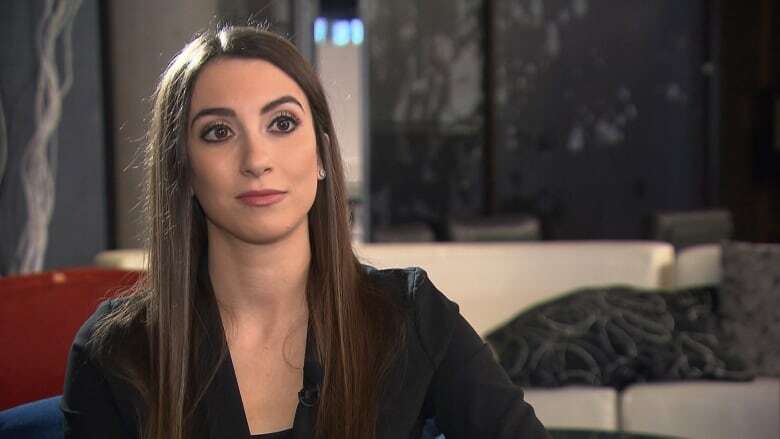 Before she posted her story, Komlos said she had contacted Concordia security and the university's Sexual Assault Resource Centre but was told she couldn't immediately make an anonymous complaint without a senior Concordia manager's approval. Concordia allows anonymous complaints, in which a student does not give their name or any other information to the university. But confidential complaints — which allow a small group of senior administrators to access a student's name and contact information — make it easier to follow up on files, a university spokesperson said. On Saturday, as Komlos's video began circulating, Concordia announced it would beef up its security measures. By then, a number of female students had come forward to report having been approached by insistent strangers on campus. "We've seen time and time again that the university is very slow to act in the interests of survivors until some sort of public shaming or a threat to the institution's reputation emerges," said Julie Michaud, the outreach co-ordinator at Concordia's independent Centre for Gender Advocacy. She says there can be no barriers to reporting, even if the complainant wants to remain anonymous. Lee says if she hadn't seen Komlos's Instagram story, she would not have reported the incident to McGill. She says she also now plans to file a police report. "After sharing this on multiple McGill Facebook groups, I've gotten a lot of replies saying it's happened to them, as well," Lee said. "So that's when I thought, the university should take action." She says she hopes McGill will follow Concordia's lead and increase security measures. Flav Choquette, a student at the Université du Québec à Montréal who teaches a workshop on self-defence in public spaces with the Collectif d'accès à l'autodéfense, says every time a wave of harassment allegations come to light, there's an uptick in demand for self-defence services. "There's clearly a link between the two," said Choquette, who uses the non-binary pronoun they. "Social media gives us the possibility to reach more people," they said. "It can validate people who haven't been believed." Since the #MeToo movement, there has been a steady shift in people's understanding of sexual assault and harassment and their prevalance, Michaud said. "An even more positive development would be that a person doesn't have to have a viral post in order for an institution to take action." If a person is approached by a stranger in a public space and begins to feel unsafe, Choquette recommends finding an ally — or calling loud attention to the situation. "It can be a person to keep an eye out, to be able to talk to, to meet up with … to call to feel safer and to accompany someone out of that situation," Choquette said. They also recommend screaming loudly to attract attention to the harasser. If someone is alone, Choquette recommends getting to a public place as quickly as possible — but every instance is nuanced. "[It's about] learning how to evaluate the situation, to know your capacity in the case of attack, and to know what the best option is to go ahead in a situation." Concordia says it has gotten in contact with Montreal police, McGill and UQAM in order to "ensure a co-ordinated response." The school offers a Safe Walk — an accompaniment service — on a 24-hour basis: upon request, security officers are available to accompany individuals to their car or public transit stop, or to a location on campus. Concordia also offers a program that allows students to register to receive automatic safety checks on their phones, a service called "Checkmate." McGill advised anyone concerned about their safety to contact police and security, and to access its Walksafe program, similar to Concordia's Safe Walk program.